Help guard your heart, and you'll guard your health. The heart keeps blood pumping throughout the body, so it's important to keep this remarkable organ strong and the blood vessels clear. Help your heart keep the beat: eat right, enjoy exercise, don't smoke and consider these essential nutrients from TriVita. Think about it: a healthy brain and nerves are the control and communications centers for everything we do. Be smart about the vital nutrients you need to help support brain and nerve health by adding these vital nutrients to your daily schedule. In a healthy immune system, the normal inflammatory response repairs damage and protects the body. Sometimes, though, our body doesn’t respond as it should, sending the inflammatory response into overdrive. 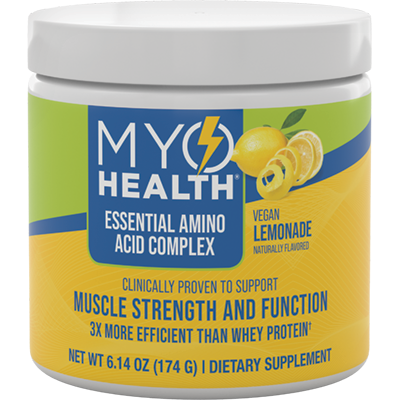 Stay ahead of the curve by supporting your immune system and supporting your body's healthy inflammation response. Omega-3 fatty acids are essential for human health—but your body can’t make them. 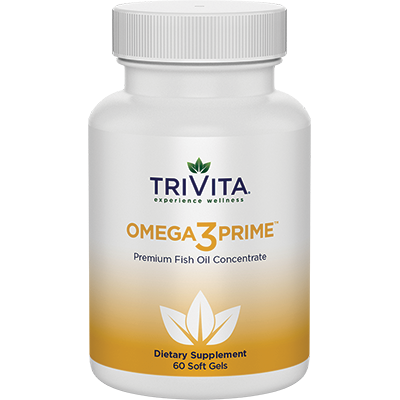 Now, you can get the omega-3s your body needs with Omega3 Prime, designed to support heart, joint, brain and overall health. Omega-3 fatty acids are critical to human health: they’re involved in everything from building healthy cells to maintaining brain and nerve function.1 Yet your body cannot make omega-3s; you can only obtain them from food or supplements. Omega3 Prime is your premium source of omega-3 fatty acids: 1,000 mg in just two easy-to-swallow soft gels. Designed to support heart, joint, brain and overall health, this premium fish oil concentrate is rich in eicosapentaenoic acid (EPA) and docosahexaenoic acid (DHA). Growing evidence shows that these two forms of omega-3 fatty acids are particularly important for cardiovascular health.2 In fact, the American Heart Association (AHA) recommends taking EPA and DHA omega-3 fatty acids to benefit heart health. Omega3 Prime’s fish oil undergoes stringent quality control measures to ensure purity and potency, and begins its journey to you in one of the world’s best ecosystems: the oceans of Peru. The sustainability of Peru’s fisheries and marine ecosystem has been ranked as the best in the world. TriVita sources its fish oil only from suppliers committed to conserving marine habitats and resources. If you are pregnant, nursing or on medications, you may want to consult with a healthcare provider before using. Keep out of reach of children. To report a serious adverse event or obtain product information, contact 1-800-991-7116. Information provided herein is for informational purposes only. If you are not fully satisfied with your purchase, you will receive a full refund, less shipping and handling, within 60 days of the order date. Please call our toll-free number for complete details at 1-877-850-2968, or to receive instructions for returning products for a refund. Q: How should I take Omega3 Prime? 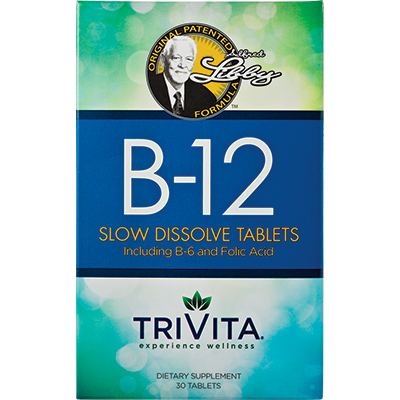 Adults, as a dietary supplement take 2 soft gels daily. Q: Is Omega3 Prime safe for everyone? Children, women who are pregnant or nursing, individuals with health conditions, and all individuals allergic to any foods or ingredients should consult their healthcare provider before using this product. Fish and Omega-3 fatty acids. American Heart Association. Yan-Lin SY, Lin-De L, Soon-Kwan H. Eleutherococcus senticosus as a crude medicine: Review of biological and pharmacological effects. J Med Plants Res 2011;5(25):5946-5952. These statements have not been evaluated by the Food and Drug Administration. Our products are not intended to diagnose treat, cure or prevent any disease. It is intended for your general knowledge only and is not a substitute for professional medical advice or treatment for specific medical conditions. Always seek the advice of your physician or other qualified health care provider with any questions you may have regarding a medical condition. All customer testimonies are from dedicated users of TriVita products. Some customer may benefit by receiving consideration or compensation for their relationship with TriVita.